This marks 'The End' of the Indiana June pick-a-path bicycle adventure and my online travel business, OutTrippin. I always knew the day would come when my pick-a-path adventure story would reach a natural conclusion. Today is that day. It dawned on me that I don't need people to vote where I go or tell me what do any longer – my inner compass is all I need to find my way. I want to thank everyone who has been along for the ride. Whether you tuned in from the very beginning or met me somewhere on the journey, your support has been the single most important fuel for my tank. 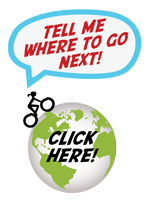 I plan on keeping the indianajune.com domain alive but it will be reinvented in 2015 to house my new (ad)ventures and projects. Now I'm going to get all nostalgic for a minute. It seemed like a good excuse to look back at some of the highs, lows and interesting stats that have filled my blog for the past 3 years. I still scratch my head and wonder how the hell I ended up with 20,000 people around the world determining my path? I guess it made for an interesting story! I'm back in Wellington, New Zealand for Christmas and yesterday when sorting through a box of old knick knacks I found this sketch. 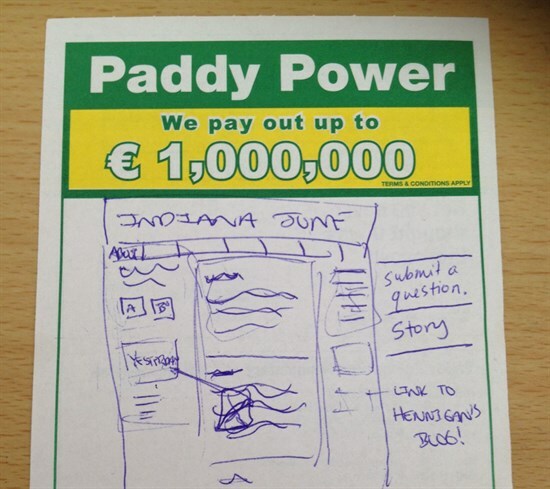 It's the very first version of my website, scrawled on a Paddy Power notepad (Ireland's version of TAB) with my travel buddy Greg. That means the design was conceived in an Irish pub, quite fitting! Just 2 short months later my web wizard cousin Trev built it and I was on my way. 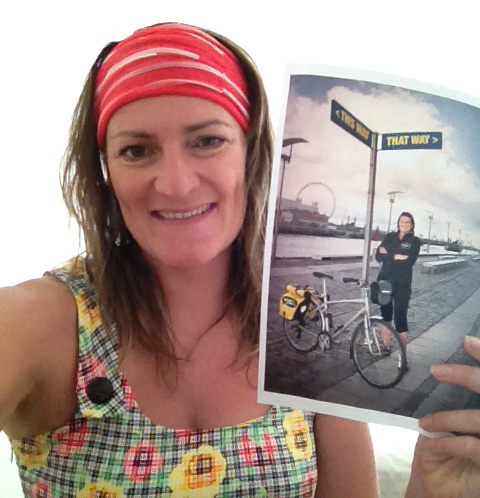 On the 6th of August 2011 I set off on my bicycle from Dublin and put my destiny in the hands of the public. At the start it was just my friends and family voting but with media attention it soon snowballed into an avalanche of support. They voted that I work on a pig farm, swim with a famous dolphin named Fungie, pour pints of Guinness, go zorbing (not recommended!) and that was all before I left Ireland. 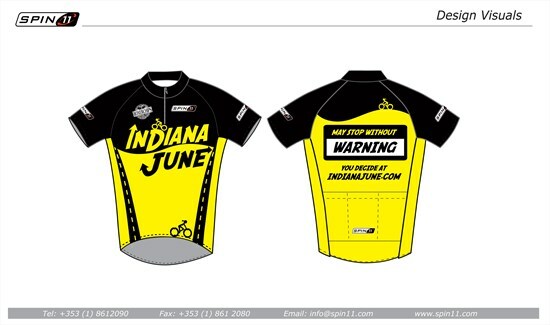 I was visible on the road with my yellow pannier bags and Spin11 designed cycle jerseys. 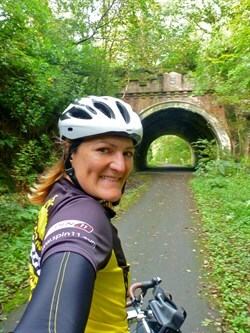 I bought my new bike, Meg in Belfast and toured Scotland, England, France, Spain and caught the boat to Italy. 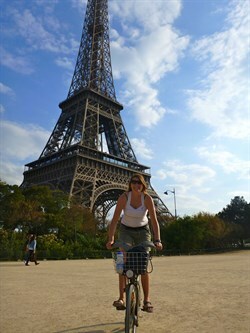 Then there was a spot of biking in Australia and NZ before I was voted to switch continents to South America. I didn't speak a word of Spanish so the potential for misfortune was high. We all remember this video I made on the side of the road right? 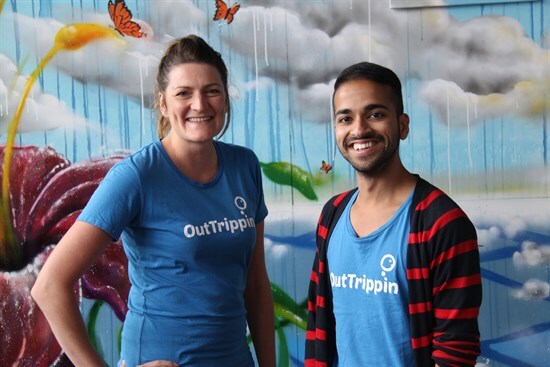 But robberies and electrocution aside, it was in a Buenos Aires hostel that serendipity stepped in and introduced me to Kunal, an enthusiastic entrepreneur who later became my OutTrippin business partner. Who could have predicted that riding a bike with no particular destination would lead to an exciting romp in the land of startups? The world was ready for personalised travel recommendations and our secret weapon was an army of independent travel bloggers. 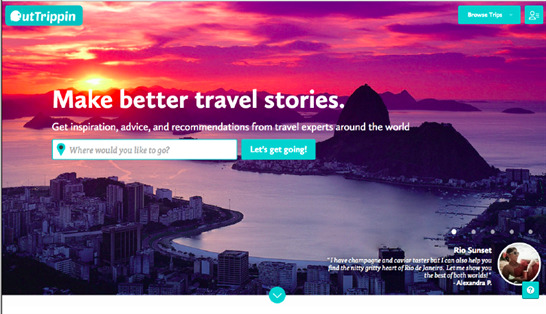 From bicycle adventure to startup venture, we created a community of hundreds of travel writers who shared their knowledge and expertise with our customers. But energy (like money) is finite and sometimes you have to stand back and question whether that much passion and drive would be better directed elsewhere. While I am parking the bicycle and shutting up shop on OutTrippin, please don't feel sad. Indiana June and OutTrippin are the most amazing stories I've ever been a part of but they're only the beginning. I have a couple of side projects on the go right now. When I have my morning coffee I draw a picture and post it on instagram under the hashtag #coffeecharacter. Feel free to follow my Instagram feed for a daily dose of Indi-art.